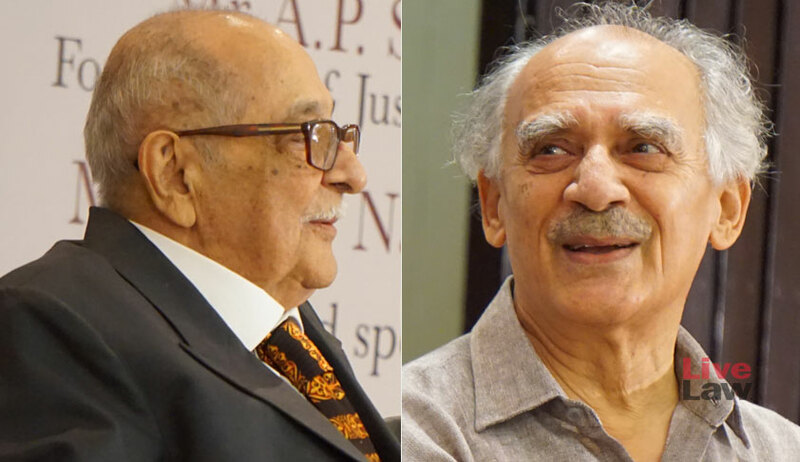 “Someone has humorously stated that the provision for one appeal is a reasonable precaution, the provision for two appeals is panic, and that for three appeals is a complete lack of confidence in the judiciary...this is the case of India...in our anxiety to secure justice, we unduly delay it"
He quoted from the book, in so far as Shourie has ventured therein that “the sovereign device for ensuring better judgments, indeed for ensuring judicial accountability”, is to analyze judgments and to publicize the results. He pressed on the need for more judges who are collegial and independent of egotistical opinions.In so far as “judges differ in what they infer from facts, what they gain from earlier judgments and what they deem the interpretation of a law to be”, Nariman remarked “this gives rise to uncertainty in a layman that the outcome of a case depends on chance or who it is listed before”. “We need more judges in courts and fewer tribunals, or even better, no tribunals at all...I do not like tribunals as the final decision continues to rest with the courts...Justice is good but, at present, finality is better...a small country like Hungary has 85 judges in its apex court, while we have 25 judges at the moment, with a sanctioned strength of 31...as on April 1, there are 99 lakh civil cases and 2 crore Criminal cases pending...,” he continued. “Someone has humorously stated that the provision for one appeal is a reasonable precaution, the provision for two appeals is panic, and that for three appeals is a complete lack of confidence in the judiciary...this is the case of India...in our anxiety to secure justice, we unduly delay it...there have been instances of delay of as many as 20 years, as witnessed in a verdict against a prominent film actor some weeks ago...with more laws, more tribunals, more safeguards against errors and hence, more appeals, this has become an unending process...,” elaborated Nariman. Stating that the numbers of appeal should not be construed as a guarantee of justice, he narrated an episode where former Chief Justice of the High Court of Australia Sir Owen Dixon had remarked that, sitting on the appellate side, he had nothing to do with justice, as in an appeal, one-third of the facts are excluded by the limitations of human memory, another one-third are lost by the negligence of lawyers and the remaining one-third suffers on account of the archaic laws of evidence. “An incompetent lawyer may delay the litigation process by months, but a competent lawyer can cause a much longer delay...if he is ethical, he would not, but if he is not, you bet he will...In India, which has the highest population of lawyers outside of the USA, the general public, even reasonable and intelligent people, approach an advocate with the same hesitation and the same lack of confidence as there is in accessing public hospitals; people only do so because they have to...,” signed off Nariman on a humorous note.